In his congratulatory message to the side, President Kovind lauded the Indian cricket team's effort in achieving the historic series win. President Ram Nath Kovind and Prime Minister Narendra Modi on Monday hailed the Virat Kohli-led Team India’s maiden Test series triumph in Australia, calling the feat a historic accomplishment. In his congratulatory message to the side, President Kovind lauded the effort in achieving the series win. “The series witnessed some memorable performances and solid teamwork. Best wishes for the various games ahead,” he wrote. The tourists achieved the feat after a wait of 71 years. 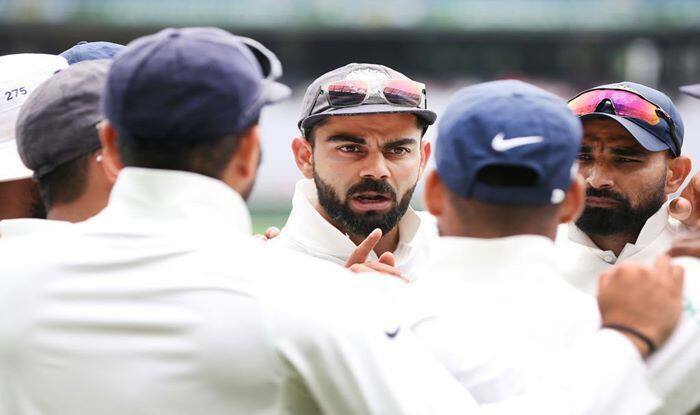 Earlier, Team India won the Adelaide and Melbourne Test of the series, the fourth and final Test at the Sydney Cricket Ground (SCG) ended in a draw as no play was possible on the last day due to continuous downpour and India clinched the series 2-1. Opting to bat in the final Test, India took a commanding position as Cheteswar Pujara and stumper Rishabh Pant’s scintillating 193 and 159-run respective knock guided India to a massive 622/7 in their first innings. India then rode chinaman Kuldeep Yadav’s fifer to bundle out the home side on 300 runs before enforcing a follow-on. Australia were six for no loss in their second innings and play wasn’t possible on the final day of the Test, thanks to the continuous rains as the contest ended in draw. Pujara was one of the main reason behind India’s historic series win as the Saurashtra batsman accumulated 328 runs from three games, averaging 54.67. Meanwhile, Pujara also slammed three tons in the crucial Border-Gavaskar series. Kohli also effectively supported with 259 runs from three games.